Rubio Long Snapper Connor Kelsey Put on Scholarship! Long time Rubio Long Snapper Connor Kelsey has been put on scholarship at Oregon St! Kelsey, who backed up Rubio Long Snapper Michael Morovick this year, will take over starting duties next year for the Beavers. He is a very athletic Long Snapper that never stopped improving. Tremendous Long Snapper and person. Congratulations to Kelsey and his family! Long Snappers came out to CA on Sunday, February 24th from CA, NV, NY, OR and NJ to get the best instruction and exposure in the country for Long Snappers. The talent was overwhelming for all ages attending the camp. The overall winner of the camp was Chase Dominguez (CA, ’13). The Utah Ute commit was, as his norm, smooth and dominant all day. It is almost likes he lulls you to sleep and just crushes your hopes. Even his misses are only off by an inch or two. Chase, to say the least, is beyond ready for the next level. Cole Mazza (CA, ’13) is easily the best Long Snapper in the country. Missed getting into the finals by a quarter of an inch and just threw absolute heat all day. Watching him snap is a true spectacle. He is just that good. Jason Diffee (JC, CA) continues to improve and impress me. Body is solid, his hands are quick and he listens very well. Extremely coachable and smart with his Long Snapping. Wesley Bertoni (JC, CA) has improved immensely over the past two years and has truly transformed into one of the best JC Long Snappers in the country. Tanner Carew (CA, ’14) is really ironing out his form and becoming smoother to go along with his incredible speed and athleticism. Sky is the limit for this Junior. Christian Samarzich (CA, ’14) is looking extremely good physically and snapping a very quick, hard ball. His snap and body are both very strong. Chris Nieto (CA, ’14), as I have said before, will be one of the great ones, if he wants to be. Athletic as anyone in his class and very smooth. Think of a younger Chase Dominguez and you have Nieto. TONS of potential. Tyler Moore (CA, ’14) has the size and smoothness to get to the next level. I know it, does he? Keep an eye on him. Garrett Frum (CA, ’14) is strong, quick and extremely coachable. 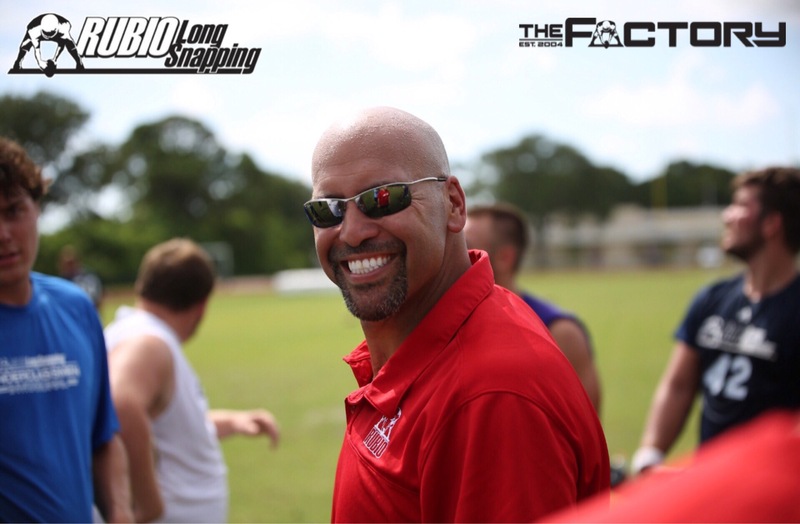 All the qualities to look for in a Long Snapper headed towards the next level. AJ Carty (CA, ’15) has D1 size and confidence right now. Snaps a very smooth and quick ball. Pops back to you before you even know it. Listens well, coachable and strong. Ryan Simmons (CA, ’15) has been to coming to camps for quite some time and this was easily the best I have seen him perform….and I liked what I saw prior. Very strong Long Snapper that snaps an aggressive ball. Great attitude. Chase Urbach (NJ, ’15) has been on fire since Vegas and doesn’t look to be letting up anytime soon. His form is exceptional and he is gaining confidence by the day. I would keep a very close eye on Urbach. He is really starting to impress me. Johnny Den Bleyker (CA, ’16) was very, very solid out in CA. He is strong, beyond athletic and like a machine when he is snapping the ball. Form is exceptional. The more he gets set, the better he will be. Bright future. He left no doubt that he is the best Long Snapper in his class. John Aloma (CA, ’16) was as smooth as ever with his Long Snapping. Picture perfect form that will only get better, the bigger he gets. Great attitude. Damon Johnson (CA, ’16) looked VERY solid on Sunday. He has grown and using his new found strength with his snapping. Other notables from the camp in CA: Justin Goossen-Brown, Connor Kelsey, Peter Comarato, Matt Foley, Keller Murphey, Tommy Merickel, Collin Lippincott and Richard Wilcox. Rubio Long Snapping will continue it’s Nike Spring tour next weekend, Sunday, March 3 at in Dallas, TX. That camp will be followed by camps in IL, NC, GA and CA all leading up to the 11th Annual National Kicking and Snapping Spring Event in Las Vegas on May 4-5, 2013!